Abdul Muqeet, also known as the Paper Bag Boy, has risen from being just another ordinary student to an extra-ordinary environmentalist. 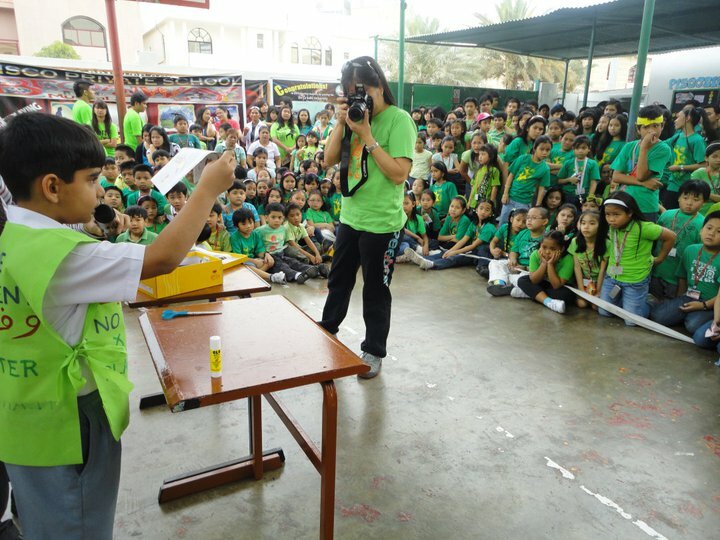 At just ten years old, Abdul Muqeet has demonstrated his commitment to saving the environment in United Arab Emirates and elsewhere. 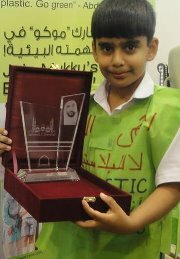 Inspired by the 2010 campaign “UAE Free of Plastic Bags”, Abdul Muqeet, a student of Standard V at Abu Dhabi Indian School, applied his own initiative and imagination to create 100% recycled carry bags using discarded newspapers. He then set out to distribute these bags in Abu Dhabi, replacing plastic bags that take hundreds of years to degrade biologically. The bags were lovingly named ‘Mukku bags’ and Abdul Muqeet became famous as the Paper Bag Boy.